Special thanks to TheFavs for helping me loop these. Together with The Favs, we tried to get a proper duration of all tracks by looping to match the PSX Original Soundtrack as close as we can. I redid them not to only loop properly, but some even to sound better! 1-20 - Still More Fighting! - Now its looped properly and i changed the guitar modeling so it now has a distortion guitar instead of a 'overdrive only' guitar. I also changed it from power chord to single note so it sounds more realistic considering this piece. *Japanese translated tracklist i suppose, my names are from the US version. i am uploading it for you. So do these files replace the ones for when you are playing the game? I'm never around anymore, but I just wanted to say thank you for this project. I've had the demo track you made since 2009 and I kept meaning to get around to downloading the entire project when it was finished. Now I can listen to it while I'm translating! Anybody can reuploaded the CD4 please ? Here are working links for all 4 CD's. I might have the ff6 rar. I know I downloaded it at some point, though I will have to go through my external HDD once I get home. My first impression was from "Cosmo Canyon." Started off very well, but the electric guitar didn't sit well with me. Just my personal preference. You made up for it and a whole lot more with my favorite song from the psx version, "You can hear the cry of the planet." It sounded better than I've ever heard, and I've looked up plenty of re-releases. All links seem to be dead now, any chance of a reupload or redirecting me somewhere else? searched high and low for this, thought I would save someone the time. Does anyone have the OGGs for this? 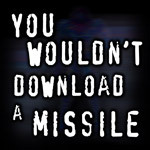 If those aren't .ogg, will it work all the same in the ff7music.exe? Looping OGGs for use in FF7Music or the latest version of Aali's Driver can be found here. Does anyone have the last "new version" of this project? Links are all dead. Nezdude's links work for me.